Ah, the dreaded slump. We’ve all been there, right? We go through the motions, day after day, filled with the amount of enthusiasm we save for going to the dentist. One day blends into the next, and before we know it, an entire week – sometimes even a whole month – has passed by. So what can we do? How can we get out of our slump and start enjoying the excitement of life once again? You see, when we do the same things day in and day out, we often get stuck on a treadmill of sameness. Our mood levels out, we grow less observant, and we start overlooking those little joys that each day brings. In short, we’re a bit like Bill Murray in Groundhog Day. By adding new excitement to our day, however, if even on a small scale, we can shake up the norm and get out of that rut. 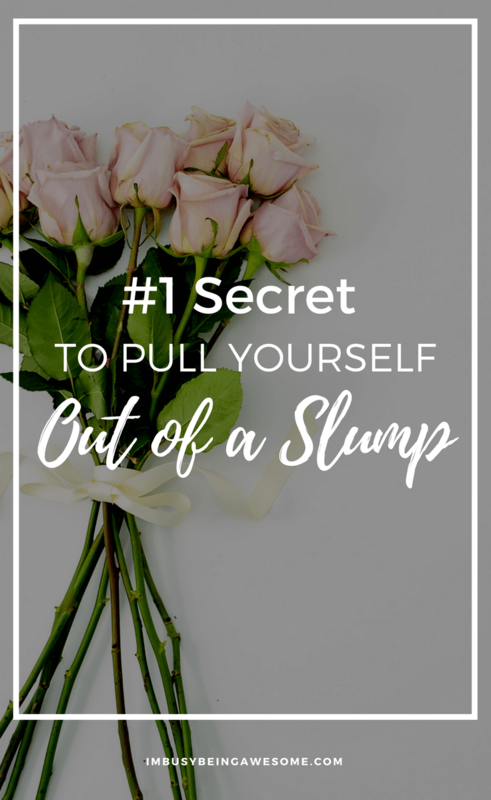 So if you’re looking for strategies to get out of a slump, then you’ve come to the right place. Check out my 5 favorite tips below! It’s no secret that I’m a lover of routine. I’ve talked about the importance of maintaining both morning and nighttime routines, as well as the benefits of keeping a flexible daily routine for maximum productivity. So with that in mind, seeing “change up your routine” as my number one piece of advice might come as a surprise. Yes, routines help boost efficiency and organization. And for many of us, they offer a feeling of comfort and consistency to our lives. But when we’re feeling stuck, and when we’re looking for strategies to get out of a slump, changing our routine can be a highly effective strategy. Now, whether you make big or small changes to that routine is completely up to you. If you’re a routine fanatic like me, even the tiniest changes – trying a new gym class, listening to a new podcast, or working in a different location – can help lift the fog that settles on daily repetition. For those of you who shudder at that kind of regimented lifestyle, however, you may opt for a bigger shift. Start a book club. Study jazz. Take a cooking class. Learn a new language. Travel! The important thing is simply stepping outside of your everyday situation, which helps open your eyes to your new surroundings and experiences. Occasionally, it’s at work where we need to get out of a slump. Perhaps we’re facing burnout. Maybe we’re so overwhelmed that we’ve essentially shut down. Or on the opposite side of the spectrum, perhaps we’re so incredibly bored that we’ve simply lost interest in the position. While these are all rather different scenarios, they all have at least one thing in common – the potential to bring on the slump. According to Stephanie Vozza at Fast Company, the first thing to do in this type of situation is identify why you’re struggling. Because the sooner you can identify the cause, the sooner you can fix it. If you find the root of your problem stems from your battle with work-life balance, then it’s time to start thinking about what you need more of in your life. If you find your work-rut stems from sheer boredom, then perhaps it’s time to start challenging yourself. Ask your boss for a new assignment, start setting more challenging career goals, consider boosting your skillset by working toward an operations management online degree, etc. Long story short, if it’s boredom that’s got you down, then it’s time to challenge yourself. Try something new today! Finally, if your work slump stems from total disengagement with your current position, it might be time to reevaluate and consider where your true passions lie. What kind of work speaks to you the most? What makes you excited to get up in the morning? By identifying these passions, you can work toward either incorporating them into your current position or looking for a career that offers what you need. If you have a hard time answering these career questions, check out my post How to Find a Career You Love. 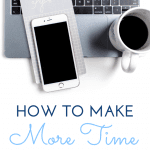 Then, download my free workbook to help guide you through the process. 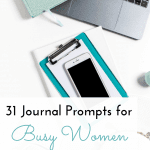 Yesterday, I shared with you my 30 favorite quotations to inspire productivity, and I talked about the power each one has to motivate, excite, and encourage us to succeed. And while I believe surrounding ourselves with this type of inspiration works at any time, when we’re trying to get out of a slump, it’s especially effective. What’s more, inspiration doesn’t stop with quotations. You could create a vision board, read motivational books, spend lots of time with people you admire, etc. By surrounding yourself with inspiration from every angle, you’ll shed light on your gray day and bring vibrant color back into your life. Need a boost of inspiration? Download my free 30-page PDF. Each page has an individual quotation designed to motivate and inspire. Sometimes when we want to get out of a slump, the best solution is to work toward a new goal. Often when we have slump-y days, weeks, or months, we find ourselves simply going through the motions. We do what needs to get done, but no more than that. In situations like this, it’s time to challenge yourself with a goal. Think about something that gets you excited. Is it taking pictures of your kids? Do you love crocheting? Are you passionate about networking with companies? Take some time to think about that passion, and then ask yourself – how can I push myself here? Could I up my photography game and take an online class? Should I finally try that advanced crochet pattern? 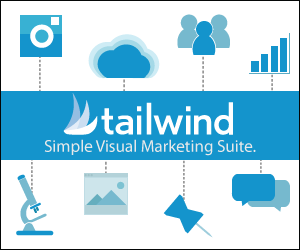 How many strong connections can I make with different companies over the next 6 weeks? By challenging yourself with a new goal that really gets you excited, you’ll pull yourself out of that slump in no time. When push comes to shove, we often get in a rut because we’re expending all of our energy on everyone else. And when that happens, we leave no time for ourselves. If you need to get out of a slump, it’s time to start focusing on you again. It’s time to think about what you need in order to feel good. Ask yourself: What do I need in order to feel like me again? The answer might be 30 minutes of quiet reading time each day. Maybe it’s getting a massage or going to the gym. Perhaps it’s taking time to create in the kitchen. Whatever you need to help you recharge, do it. And what’s more, do it every day. 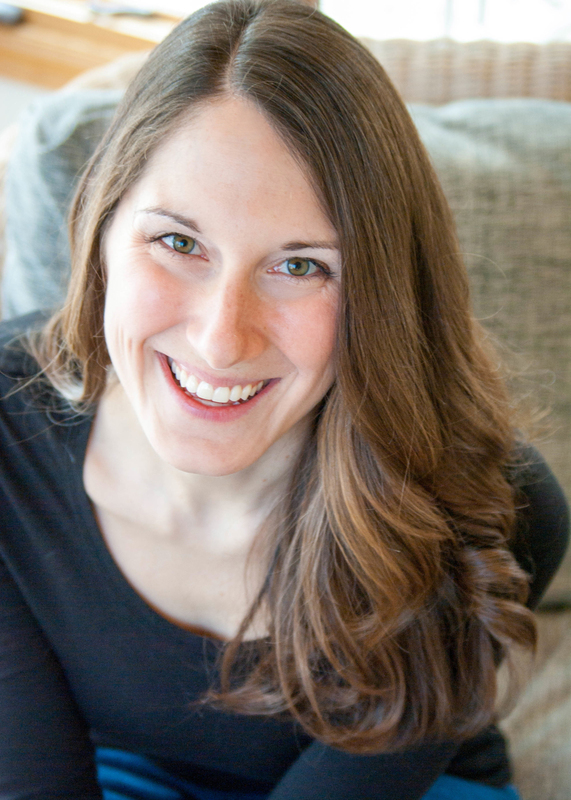 Now, I get it – many of us struggle with the idea of practicing self-care every day. Perhaps you can’t seem to find the time. Maybe making time for self-care feels too “selfish” or “self-indulgent” when you have a family, job, friends, and other responsibilities on your plate. If any of these scenarios resonate with you, be sure to check out my post Self Care: The Key to Healthy Living. In it, I walk you through how to incorporate self-care in your life every. single. day. Then, download my free self-care worksheet that helps you identify exactly what you need to recharge – and keep charged – every day. And that’s it, friends! 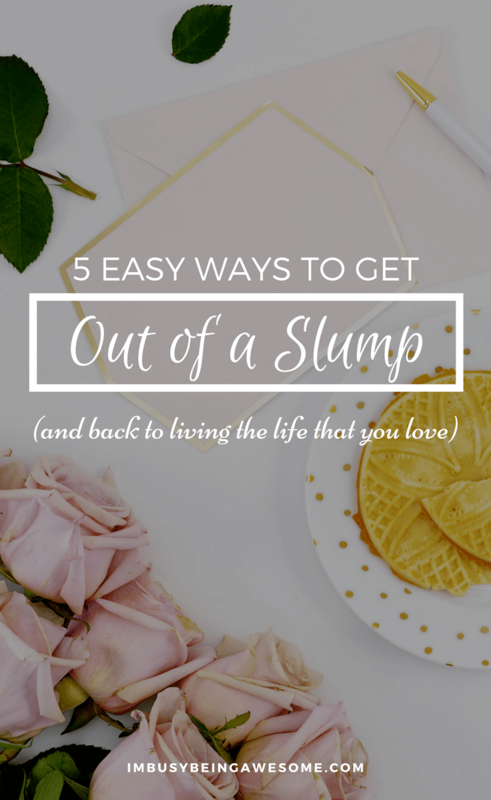 My top 5 suggestions for how to get out of a slump. Give them a try and let me know which ones work best for you! Have you ever gotten stuck in a rut? What did you do get out? What are your favorite strategies to get out a slump? Let me know below! Sometimes the hardest things to do seem so simple on paper, and sometimes seeing it on paper (or screen, I suppose) is all it takes to provide a little push. It’s definitely a motivation factor for me. Loved this post! I like the idea of surrounding yourself with inspiration. Hopefully this summer I’ll get around to a vision board! Changing up the routine and always having my goals listed in front of me help me so much. Enjoyed your post! I so agree wit hyou. Shaking things up is such an important part of staying inspried. A new work place, a new tool, learning a new technique all help to get out of the slump. Great ideas! I believe the hardest for most women (well, for me anyway) is the self care part. 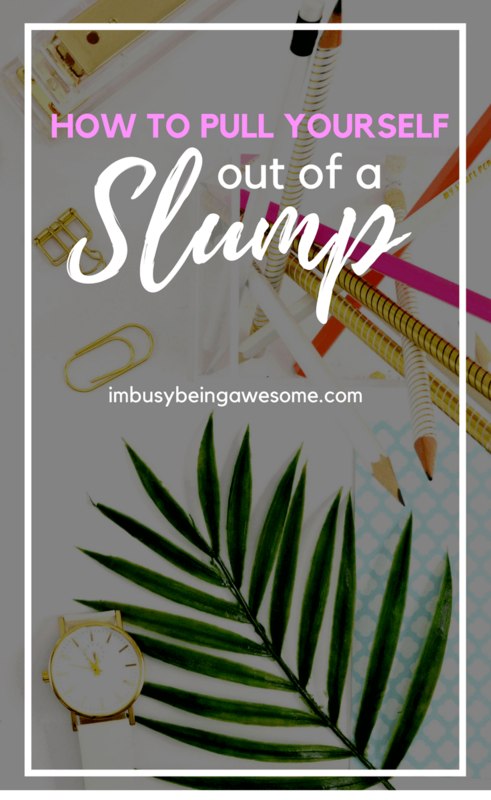 As a wife and Mom I tend to do for everyone else – leaving myself behind which turns into a “slump” feeling rather quickly. That is a key point to work on for sure! Yes, I think you’re absolutely right. Women are often the caretakers and responsible for everyone, which means we often put ourselves last. But as you say, if we can fit some care in for ourselves everyday, it’s really key. Great tips, Hillary! Thanks so much for sharing 🙂 Fresh air makes such a big difference, doesn’t it? These ideas are amazing. My favorite thing to do when I’m in a slump is to take a self care day. Great post! I’m not even in a slump but I feel super inspired to rev things up! Shaking things up one way or another usually does the trick for me. Sometimes distraction is key. Yes! That can certainly help, too 🙂 Great tip! So I agree AND disagree at the same time! haha I THRIVE with a schedule and routine – that being said I do like to change small things up to make things interesting! Like changing my coffee, or candle scent and changing what we do for “activity time” each day! I am stuck right now. I can’t seem to focus and I e tried almost everything. The boyfriend has set us up in a beach house for next weekend and I am so ya excited. I’m so sorry to hear you’re stuck in that dreaded rut. It sounds like your boyfriend has a perfect idea 🙂 I hope it’s just the trick you need. Great tips. I think self-care is always important, but I also like the idea of shaking things up or reaching for a new goal. Sometimes you just need to try something new to make things a bit more exciting. 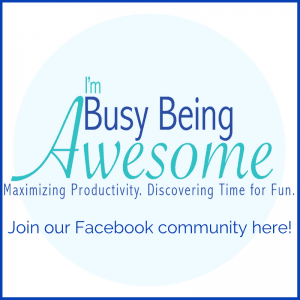 It is easy to get stuck in a rut when you’re a stay at home/work from home mom. Sometimes the best thing for me is to simply walk out the door. Change my surroundings. I usually find the library the best place for me. Theres just so many opportunities in all those books surrounding you there! I love that suggestion! Going to the library is a great way to get out of the house, change your environment, and surround yourself with new stories, ideas, and people. Thanks for the tip! Love this! Personally, the weather has been my slump. I’m ready for sunshine and warm weather so I can spend my days outside! Yes yes and yes!!! We need to take more care of ourselves if that means changing our routine or whatever it takes! Agree to the max great post! I feel like I’m stuck in a rut right now but I’m trying to get out of it. I just feel like I’m not as far into my goals as I should be at twenty-five. 2018 is the year of change for me, though. Things are already starting to look up! The whole changing up your routine is so important it def helps! That’s fantastic, Nicole! It’s helpful to keep things fresh, isn’t it? I love this! 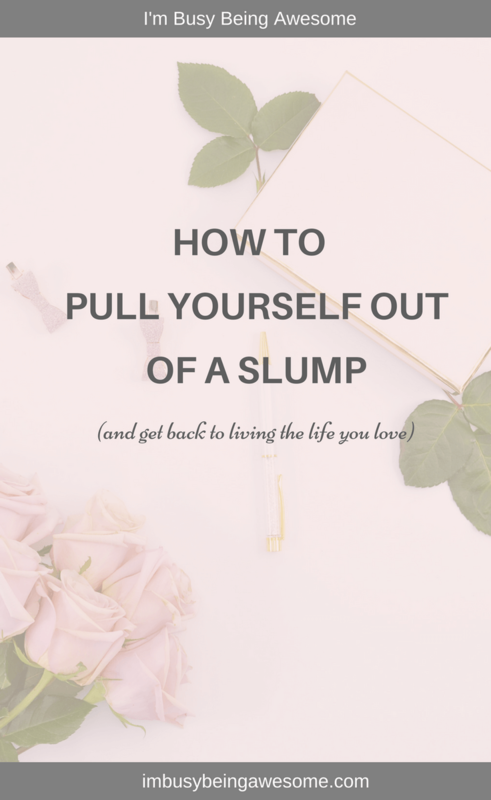 We all get into slumps! I had a self care day just this past weekend and it was THE BEST! Definitely made me more excited for the coming weeks! I love to hear that, Jenn! It is so important for us to take time for self care 🙂 Hooray! Fantastic ideas! Self care is paramount to everything, I am slowly learning this myself. If we don’t give ourselves some love, everything else falls apart. Great tips! Yes! You’re 100% right, Dawn. Self care is absolutely critical. Thanks! 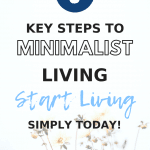 Love all of these tips, especially setting a goal! Such great ideas! Probably the biggest shake up I did was go from an office job to retail. I was commuting an hour each way and I couldn’t see myself doing that long term. I felt so much freedom afterwards! Yes! Finding new sources of inspiration or just immersing myself in something that I know will inspire me (like books) helps me when I’m in a slump.